It is as if the European Central Bank’s unexpected rate cut had never happened. Within a fortnight, markets seem not to be counting on any further easing of monetary policy in the foreseeable future. Perhaps investors don’t believe the key people at the ECB can deliver on commitments to do more if necessary. If so, they’re missing something. The majority is starting to rule at the ECB. Traditionally, the central bank has not moved without near unanimity. However, around a quarter of its Governing Council spoke out against cutting interest rates by a quarter of a percentage point in November, preferring to wait for more economic evidence, a source has said. The dissenters included Jens Weidmann, head of the influential German central bank. True, insiders insist the difference of opinion was only over when to cut rates, rather than whether policy should be eased at all. The decision to override the views of a significant minority may not set a precedent when the issue is more substantial, for example a decision to start buying assets – an idea floated by ECB Chief Economist Peter Praet. However, market pricing looks overly complacent. The euro is now higher on a trade-weighted basis than it was the day before the rate cut, while German bond yields have reversed part of their easing-inspired drop. 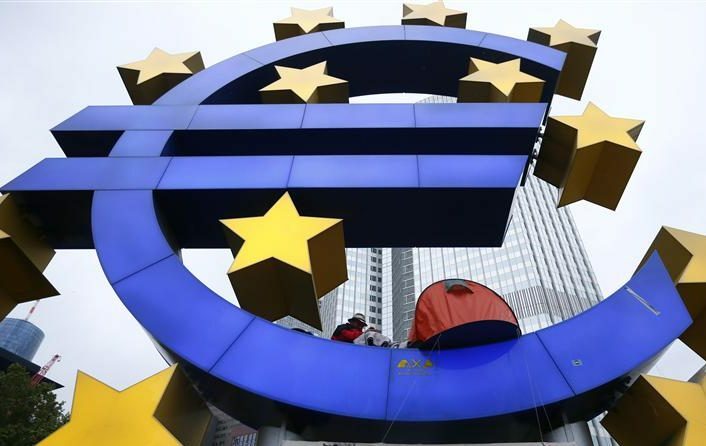 Money markets aren’t pricing in any chance that the deposit rate will be cut to below zero, which would be another way of easing policy and one which ECB Executive Board member Joerg Asmussen, a German, has said he wouldn’t rule out. Under Mario Draghi’s presidency, the ECB has already shown itself to be more flexible and fleet-footed than expected. Fierce Bundesbank resistance didn’t stop it devising a bond-buying plan which scotched speculation that a spiralling debt crisis would break up the euro. And it won’t stop the central bank exploring other uncharted waters, if it is truly concerned about low inflation and weak economic activity. The euro’s trade-weighted index fell to a two-month low of 101.6720 on Nov. 7. It has since rebounded nearly one percent to 102.6210, and is now higher than it was the day before the ECB cut rates. The FTSEurofirst 300 index of European shares hit five-year intraday highs after the ECB rate cut. It has retreated 1.4 percent from those peaks and is little changed from the levels at which it closed on the day before the easing. Around a quarter of the ECB Governing Council, led by Bundesbank chief Jens Weidmann, spoke out against a November rate cut, a source familiar with the discussions told Reuters. Insiders said ECB President Mario Draghi supported chief economist Peter Praet’s proposal to cut and that there was no blazing row over the policy decision.